After BonoIrishLover's vicious attack on Bono, Bono saw it necessary to emerge from deep within the U.N. Security Council on Africa and reply, in video. Attached is his unedited, off the cuff response. 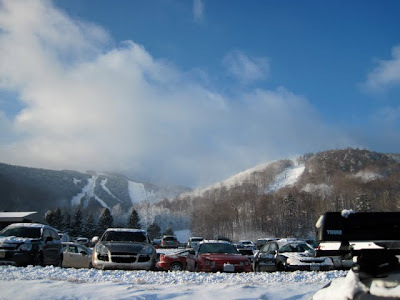 In one day, an amazing thing occured at Killington. Winter started. So after initial reports of excitement and merriment in late October and early November, things turned awful in a hurry. Al Gore was out there ruining the winter with warm temps and non-winter precipitation destroying the early season base. This then led to my East Coast news embargo. 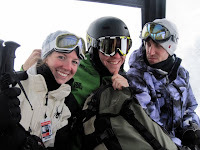 I can officially say now though, that the embargo is lifted and Boloney Moguls declares this season open for business. Because I’ve recently become sponsored by the U.S. government, I took off from D.C. on Thursday and straight-lined it for Killington. G305 is a true home away from home and always a happy sight after hours on the road. I arrived there in a t-shirt and jeans, while spitting rain persisted through Rutland. After some brew dogs and Vallapecila with Dan Kelly himself, I got some sleep in and woke up for early season mid-week riding. 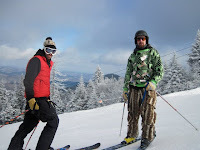 Because cold temps had finally arrived in Killington before the slight warm-up I drove through, the guns were cranking full blast for days and the terrain finally had at least a mediocre base. 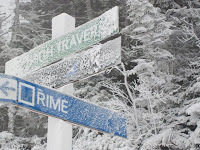 Driving down the access road, I saw a familiar view that has been plaguing all the mountains of the East: dirt trails more suited for mountain bikes than snow sports. After Beer One, I suited up – for what was a much colder day than I expected – and headed to the K-1 Gondy. The mountain was alive with the roar of dozens of snow guns rapidly trying to jumpstart a winter that Uller seemed indifferent to starting. Everything blown on was classic East Coast conditions and I couldn’t have been more psyched. Hardpack with a lot of man made on top of it – and more being blown – turns were good, edges held, and runs were fast. With my faith restored in the East Coast and my new TRS, I returned to the condo and waited for the rest of the crew to arrive. Friday night was a standard scene: carloads of Boloners arrived after 11 and mild raging occurred. We couldn’t have anticipated what Saturday would hold though. Driving up to the hill everything seemed the same, besides the epic crowds that turned out for 2 top to bottom runs. 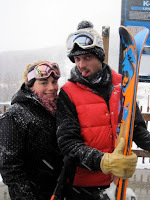 Killington was again the only game in town. 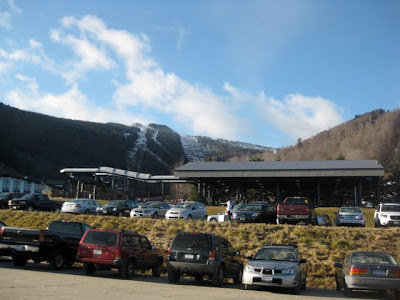 Mount Snow, Okemo, Stowe, Bolton Valley, all the NY/CT mountains had missed their projected openings AGAIN. 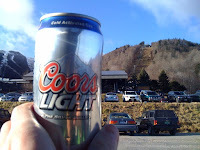 All snow enthusiasts that had missed their Thanksgiving trip, on top of others, headed to the Beast to get their fix. Damn the conditions. 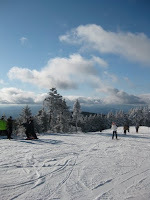 Enduring crowds was much easier as the Ktown snowmakers expanded the open terrain and helped us spread out a bit more. But, Great Northern was still the only way to the base. This caused a log jam of the worst variety, with kids, grandpas, and jib rats slamming into each other at high speeds at choke points on the bottom of the run. And then it started to happen. Uller woke up and what I thought was just flurries and trace snow started coming down. The sky whited out, the light flattened, and snow came down. No one wanted to jinx it, but every time we looked at the once bare dirt runs of the morning, we couldn’t help but get excited, seeing the Beast wake up and take on its snow-draped style. I think Tim said it best. What me and him were really excited about was spinning our newly acquired Subarus through their first snowstorm. Back at the lot after a day of riding through man-made and natural, the ground was completely covered with inches of fresh. The access road back to the condo was as treacherous as Great Northern was. But this time, we had 2WD cars trying to descend and climb ice-covered roads to no avail. Back at G305, after a quick rally course run through the Pico lot with the Seenbaru, that I hope would make Ken Block proud, the celebrations commenced. We cooked up a mondo meal, poured some brown stains, and opened up Catch Phrase and Cranium. A night full of drinking, laughing, phrase-guessing, and charading took place. Finally it felt like winter was here and it could have been the middle of February for all we knew. Snow on the mountain, cold temps outside, and a raging fire inside. You know things are good when we're able to use the back deck as a beer cooler. Sunday was any-day winter in VT. A little more terrain opened up, the guns were still blasting, but most importantly it was cold, and the Beast looked like the mountain we all expected it to look like in December. Winter has come to Vermont and the rest of the East Coast. Just yesterday Killy claimed another 12ish inches coming down which will do wonders for the base. After some wind and bluebird skies, this weekend more precip is supposed to come down and cement the gains of the last week. 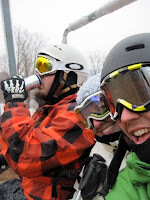 Finally, it is ski the east time.